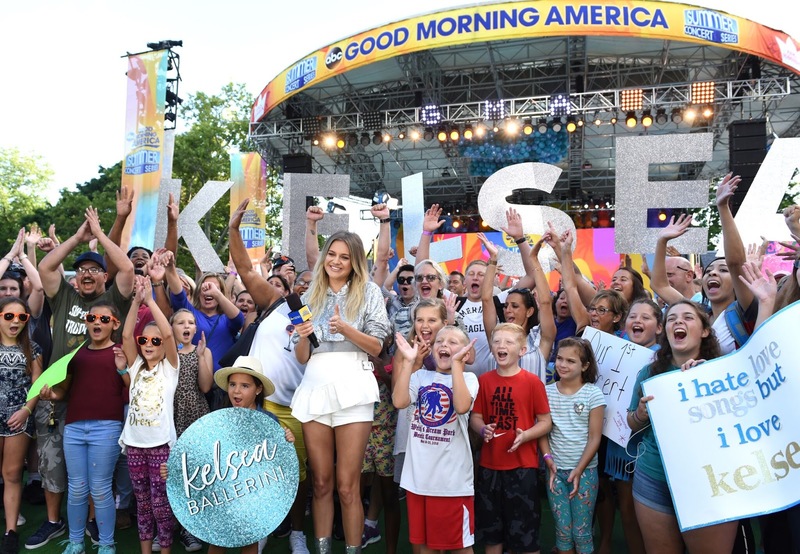 Taking over the iconic location in New York City earlier, Black River Entertainment’s KELSEA BALLERINI boldly made her Central Park headlining debut with ABC's Good Morning America Summer Concert Series. The bona fide trailblazer was the only Country artist billed for the national program this year. Watch Kelsea Ballerini bring “Unapologetically” and “I Hate Love Songs” to the Big Apple on ABC’s Good Morning America. Loading her monster appearance, she chatted with GMA anchor Lara Spencer plus closed with her breakout smash “Love Me Like You Mean It.” Further filming two additional hits as web exclusives, Ballerini pumped up the big city crowd with “Dibs” and “Peter Pan.” All three #1 tracks – “Love Me Like You Mean It,” “Dibs,” and “Peter Pan” – made history, as Ballerini remains the first and only female artist in Country music history, including female duos and groups, to top the chart with her first three consecutive singles from a debut album (GOLD-certified THE FIRST TIME). On Wednesday (8/8), she’ll return to ABC to co-host the 15th consecutive year of the three-hour CMA Fest special. Joining Thomas Rhett for the second year, the concert footage was gathered over the annual four-day music festival at Nashville’s Nissan Stadium. Tune in to see Ballerini also join the lineup, as the program begins at 8/7c. Ballerini hits the road this weekend for another run on Keith Urban’s GRAFFITI U WORLD TOUR. As his special guest, she’ll continue to support through November 3 at American Airlines Center in Dallas, TX, with a local show set for August 24 at Nashville’s Bridgestone Arena. For more information on KELSEA BALLERINI, visit KelseaBallerini.com and reach out to her on Facebook, Twitter and Instagram.